Born in 1980 in Hunan Province, China. Yang graduated from Beijing’s Central Academy of Fine Arts in 2007. Like many artists of his generation, Yang works across a variety of media in his conceptual inquisitions of material and textile. 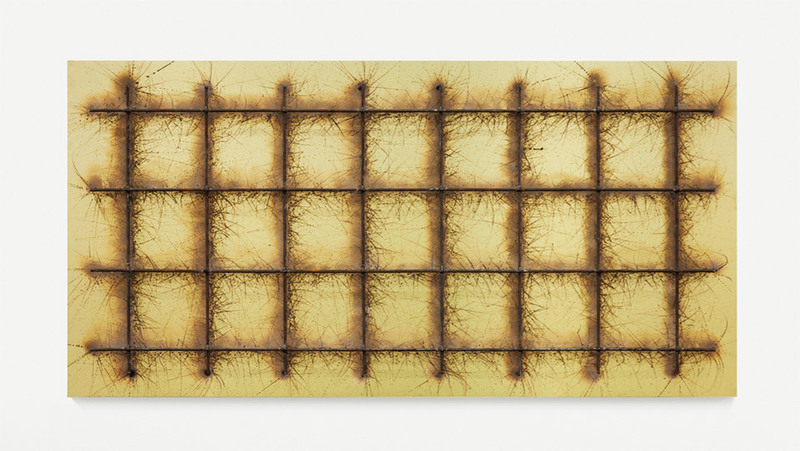 Yang’s interest in symbiotic relationships with organic and man-made materials is rendered in his works, which reference the everyday and aesthetic simplicity. Drawing inspiration from the arte povera and mono-ha movements as well as minimalist sculpture, he uses wood, gold, earth and stone in their natural states. Previous exhibitions include: “The Big Bang” (White Rabbit Museum,Sydney, 2010); “Be natural, Be yourself” (FRAC des Pays de la Loire, France, 2011); “Super Organism CAFAM Biennale”(CAFAM, Beijing, 2011); “The First ‘CAFAM Future’ Exhibition: Sub-phenonmena: Report on the State of Chinese Young Art” (CAFAM, Beijing, 2012); “The 9th Shanghai Biennale” (Power Station of Art, Shanghai, 2012); “The 1st Montevideo Biennial” (Uruguay, 2012); and “ON | OFF: China’s Young Artists in Concept and Practice” (Ullens Center for Contemporary Art, Beijing, 2013).